Thomas Hobbes was born on April 5, 1588 in the small village of Malmesbury in Wiltshire, England. His father was a clergyman, but did not make that much of an impact on Hobbes’ life as he left the family in 1608, and never returned. The reasons for the untimely disappearance of Thomas’ father are unknown. Hobbes went to Oxford University, where his education was sponsored by a wealthy uncle. In the same year that his father left, Hobbes became tutor to William Cavendish who later became the Earl of Devonshire. Hobbes and Cavendish travelled to mainland Europe to discover new things, and explore countries such as Germany and France. 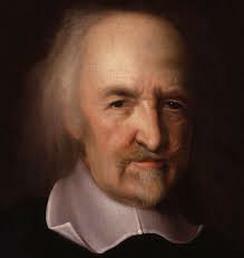 William died not long after they returned from Europe, but Hobbes continued to work for the Cavendish family as a tutor, mainly working with William’s son. Hobbes travelled to Europe a number of times whilst tutoring, and on his travels he met influential thinkers of the time such as Rene Descartes and Galileo Galilei. He started writing philosophically, and when England was on the brink of civil war in 1640, Hobbes travelled back to Europe out of fear. He stayed in Paris, France for over 11 years because he was afraid of what the English parliament would make of his writing. While in Paris, Hobbes tutored Charles, Prince of Wales who was also in Paris in exile. 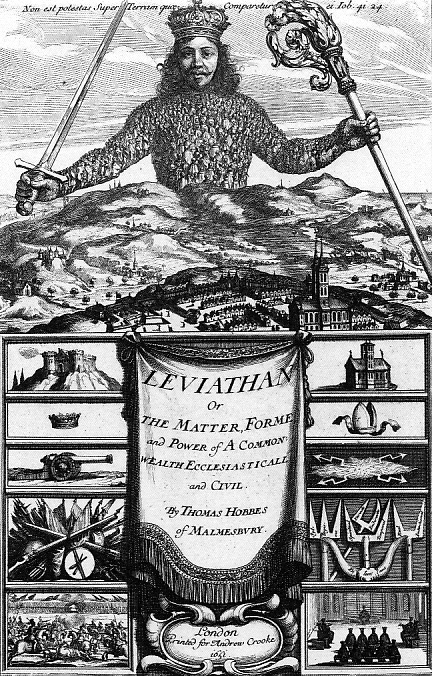 Also while still in France, Hobbes wrote and published his best known work, ‘The Matter, Form and Power of a Commonwealth Ecclesiastical and Civil’, or ‘Leviathan’. The premise of the work was that Hobbes believed that the only way for people to rid themselves of fear was to accept a central authority, and give up freedom. He believed that an absolute monarchy was the best form of central authority, and that the king or queen should also be the head of the church. His ideas on authority are generally discussed today in relation to the Age of Enlightenment and the differing views expressed by thinkers, such as: John Locke and Jean-Jacques Rousseau. As a result of his political and philosophical thoughts, he did not hold the catholic church in high regard. The French authorities were not fans of Hobbes because of his views, and as a result he returned to England, arriving in 1651. Despite controversies, Hobbes remained thoughtful, and wrote works on philosophy, physics and maths. Charles, Hobbes’ former tutee, did not return to England until 1660, but when he did, he returned as king and paid Hobbes a pension. Many influential people at the time, especially those in the church, thought that Hobbes’ works were against religion. Such comments scared Hobbes, and as a result he burned many of his papers in order to prevent being labelled a heretic, or punished. However, King Charles supported Hobbes, and prevented any further action against Hobbes from being taken. Despite having the king’s support, Hobbes was obviously scared for his safety and never published any political works again. His last publication was his autobiography which he wrote in Latin. Hobbes died in 1679 in Derbyshire, England. He was a very influential man of his time, and his political thoughts, and philosophy still have a major influence on politics today.